Free quotation on Rib and Block Decking is provided on request. 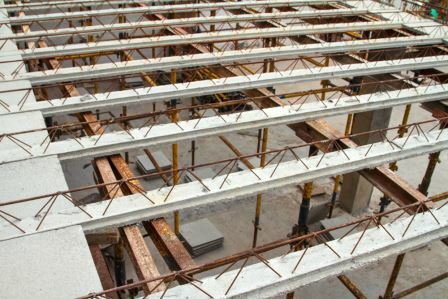 Substantial cost savings over conventional R/C insitu slabs and speed of erection makes Rib and Block a more attractive product for modern building techniques. The rib and block system consists of pre-stressed ribs, hollow core blocks, Y-10 rebar and Ref 100 Mesh. This system can be used for basement slabs, first floor slabs and roof slabs.